We’ve had this week off as holiday, which has been lovely. We went to the Cotswolds for a couple of nights earlier in the week but yesterday was dedicated to the garden. I had a couple of hours to kill late afternoon whilst the hubby started to clear our bathroom ready for work to begin, so I decided to do a spot of baking for our happy workforce today (my brother, so it was really bribery for him giving up his Saturday!). I’ve not picked up my Great British Bake Off book for ages, and to be honest when I do it’s to cook the same two or three recipes. 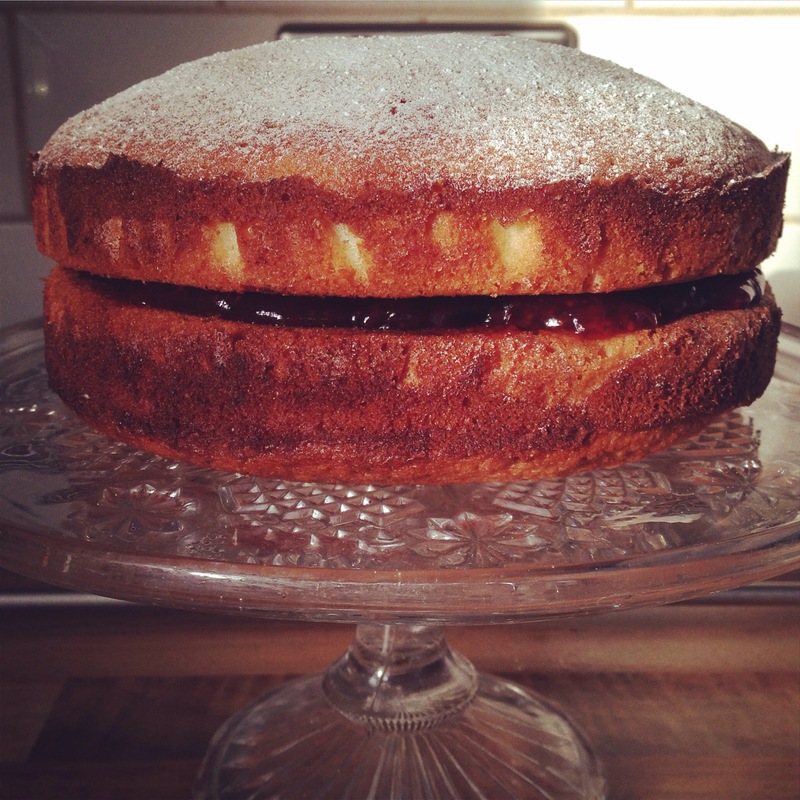 So I decided I’d cook the very first recipe – a classic Victoria sandwich. It got me thinking that I have all these recipe books and really don’t make the most of them, it’s so easy to just try one or two things and repeat something as you feel confident making it. Well not anymore, I’ve decided to set myself my own GBBO challenge and once a fortnight try a new recipe from the book (baking more regularly than that will not be good for my waist line!). It’s also a good opportunity for a bit of ‘me time’, and I find baking and cooking a great way to relax and clear my mind. Next to try will be the coffee and walnut battenberg, yum.